It seems the time has come to talk about the sound in Excubitor. While we won’t delve into the technical side of it too much (at least for the time being) we’ll show you the basic steps we take to “align” some sound effects with specific animations or events in the game. For this purpose we desperately needed solid video capturing software. We tried FRAPS and Camtasia and while they do indeed capture video we encountered a variety of issues with them, from frame drops to low quality and so on and so forth. That’s where Nvidia ShadowPlay proved its value. 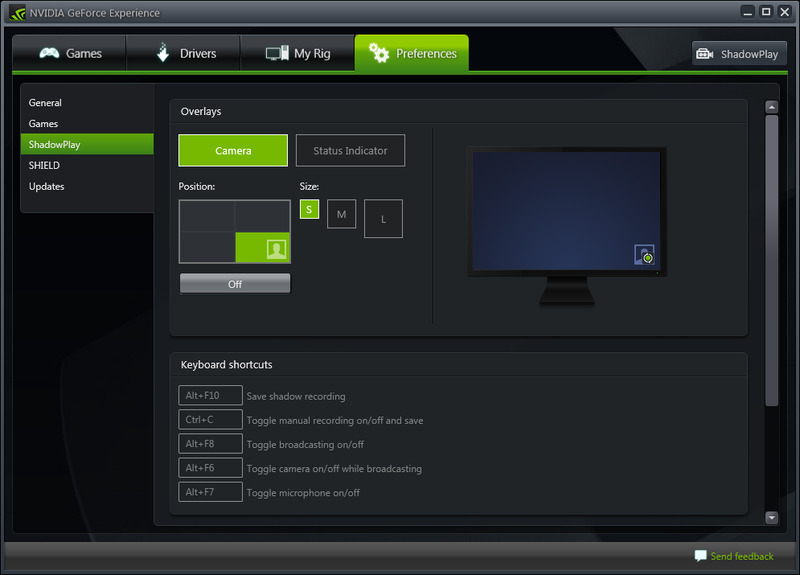 It’s important to note that it is exclusive to Nvidia video cards, and only the new ones at that. The requirements are a GTX 600 or higher GPU, core i3 or better and more than 4GB of RAM. Oh, and Windows 7 or 8. But if you indeed have the required hardware and software combo needed to run ShadowPlay than it’s by far the best video capturing software for games you’ll have the privilege to use. It’s always running in the background, so there’s no need to activate or deactivate it once it’s turned on and a simple combo of Alt + F9 will toggle recording on and off (and this is customizable, as well as all of the other recording options it offers). After we record the clip we give to our audio guru to create the specific sound effect. For simple effects like explosions, bullet sounds, energy beams and so on there is really no need to record videos, the effects are short and can be used in multiple scenarios. But for something that’s in the focus of the scene and it is long and complex than a custom sound clip is preferred. Here we will show you an example of a hangar door opening and the sound we later attached to it. After he gets his hands on the clip the SFX wiz gets to start work on the magic. 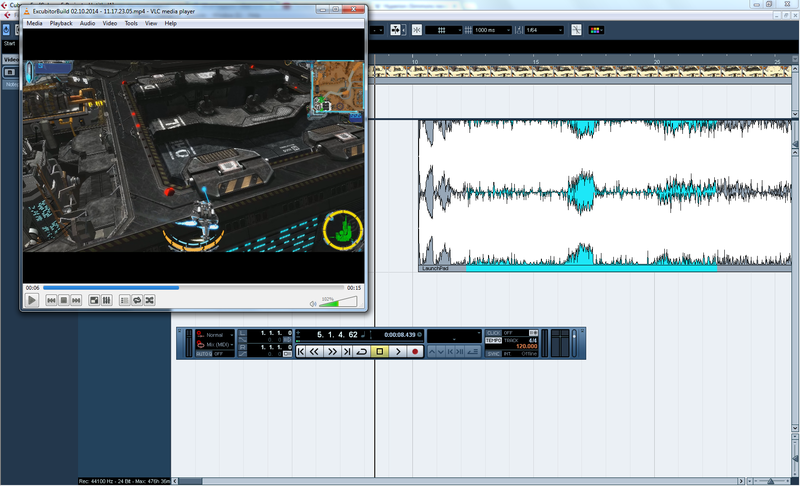 The software we use for audio editing in Excubitor, at least for now, is Cubase LE and for some cases Audacity. As I said we won’t go in depth about the entire process of sound creation, which would be reserved for a future blog post, now we’ll just post this screenshot of how the process looks like on the monitor screen. And the final result after testing, re- testing, complaints and creative breakdowns is in this audio clip attached bellow. We know this is barely scratching the surface of what is generally a pretty complex process, so If you have any specific question about the sound editing please feel free to ask here or PM, we’ll be happy to help. Until the next post stay frosty and good gaming.